The chairperson of Parliament's portfolio committee on finance Yunus Carrim on Tuesday warned that auditing firms would find it hard to oppose tougher penalties for professional wrongdoing, given their recent history of collusion with corruption. "What has happened is outrageous, shocking. 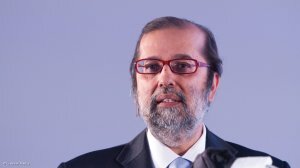 They should also be before the Zondo commission," Carrim told a meeting of the committee on amendments to the Auditing Profession Act as introduced by the Financial Matters Amendment Bill. "On the issue of severe penalties, you are going to find it very hard to negotiate around. In my view, the minister should be able to impose the severest penalty." The committee received comment from companies within the sector, including Deloitte and PWC. The latter argued that the section of the bill dealing with sanctions imposed by a disciplinary committee against a member of the profession needs to be amended to guarantee the right to appeal. "Given the potential implications, including disqualification practice or significant financial penalties as may be determined by the minister from time to time, it is recommended that a right of appeal be provided for," the firm submitted. It noted that since the Independent Regulatory Board of Auditors (IRBA) is a professional body created by statute, the only recourse for an auditor who felt that he was wrongly sanctioned would be to lodge an appeal in terms of the Promotion of Administrative Justice Act, which only allows review in limited instances. PWC and the South African Institute for Chartered Accountants (Saica) also called for changes to provisions on search and seizure powers afforded to the IRBA in the bill. PWC argued that the regulator already enjoyed the right to subpoena documents and information, adding that therefore "there appears to be no rational reason to extend the powers to such fundamental, and with respect, archaic powers" that risked infringing on constitutional rights. Carrim remarked that the provisions on search and seizure closely followed those set out in the Financial Intelligence Centre Act. "My personal view if you've got nothing to hide, given the depth of corruption in our country, then what are you afraid of?" The State capture scandal, which is being probed by the Zondo commission, notably embroiled auditing firm KPMG and global consultancy firm McKinsey.